There is a saying “Only education can give you wings to fly”. But here we want to modify this statement a bit “Only Skill-Based education can give you wings to fly.” Because skill-based education helps you to develop some real-life skills. These life skills not only support your development but also in people around you. Because When you learn some life skills, you not only make your life better by those skills, but you also help others to learn those life skills and thus help them in their development too. An authentic and real-life example of it is reflected in the life of Chhotu Sharma, a guy who used to work once as a peon in a small computer institute but now is Owner of two IT Companies with turnover of Rs.10 Crores, because of his life skills. This all sounds good, isn’t it? But to reach that level was not easy at all for Chhotu. Born and brought up in a small family in Kangra, Himachal Pradesh, the journey of Chhotu Sharma wasn’t pleasant at all. He faced so many challenges to reach such height. Although his company’s turnover is Rs. 10 Crores today, there was a time when he used to skip meals and had to sleep on an empty stomach because of his financial crisis. 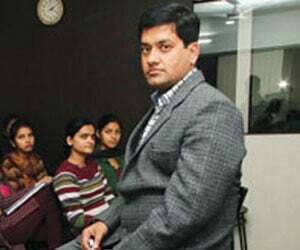 The journey of Chhotu Sharma had started when he came to Chandigarh in search of a job in 1998. He had completed his BA from a Govt. college in 1998 and didn’t have any idea that he had to face so many difficulties in finding a suitable job in Chandigarh due to lack of any life skills and having an ordinary BA degree only. Since Chhotu was just a BA Graduate, there was no such decent work available in the Chandigarh for him by his education. In such situations, Chhotu started his career as a Peon in the local computer institute. At that time, decent jobs were available only for those who were having professionals degree in computers or some skills. So Chhotu also decided to learn computers with his career. But arranging Computer course fee of Rs. 5000 from a peon’s salary was not possible. But he didn’t want to go back home like this, neither wanted to share his problems with his family. So he started looking for another source of income and thus decide to give home tuition to the children. He used to stay at coaching center, and whenever got free time, used to study about his computer course during his working hours. At the same time, when he gets free from his work and study, he used to give tuition to the children. After all his hard work and efforts, he finally completed that computer course and got the degree of “Microsoft Certified Software Developer”. Another great thing that happened to him at the same time was that he got the job offer as a faculty in the same institute. From then, his schedule began to change as he started taking classes in the evening and give tuition to the kids. By the year 2000, he started earning pretty good from his job and tuition classes. In 2002, he decided to start his own coaching center and to teach his skills to other students, so that they don’t have to face the same situation he used to face. He rented a 2-Room space and opened his Coaching Institute there. In less than 6 months, he got around 100 students. His hard work paid off, and soon he was starting acknowledged as a Dot Net Expert by people in Chandigarh. In 2007, he opened his computer training center by the name of CS Infotech in Chandigarh, from where almost 1000 students take computer training every year and improvise their skills. After two years, he purchased some space in Mohali and opened his own IT firm with the name CS Infotech. Today he is known as “Tech Guru of Chandigarh”, and many of his students are working in top reputed firms like Microsoft, Accenture, Infosys, TCS etc. His business is providing services to other big companies and make software for its global customers. 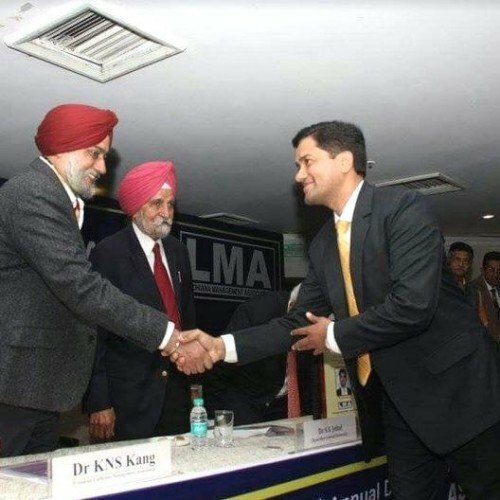 He has also been awarded as Young Innovation Entrepreneur Award in Ludhiana and in 2007, Chief Minister of Himachal Pradesh, Prem Kumar Dhumal, honoured him with Himachal Gaurav Award, for his commendable work and contribution for needy children. Ups and downs are the part of life, and every person has to face it, but it depends on you, what you learn from your difficult time and how you survive in that conditions. Chhotu Sharma is Successful today because he had shown his will and determination towards his goals and dedicatedly follow his passion. He chose to learn those life skills which could help him in the future and the result is in front of everyone. Life always gives you opportunities at different stages of your life; it depends on you how you grab it and how much efforts you put into it.